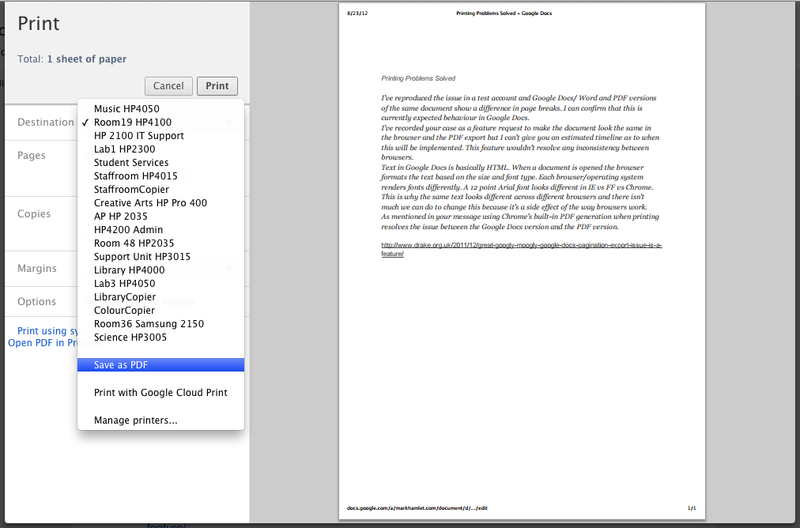 HSC Tech HELP Online: When I download a Google Document as a PDF file or Word Doc so that I can print, my formatting is all screwed up. How do I fix this? 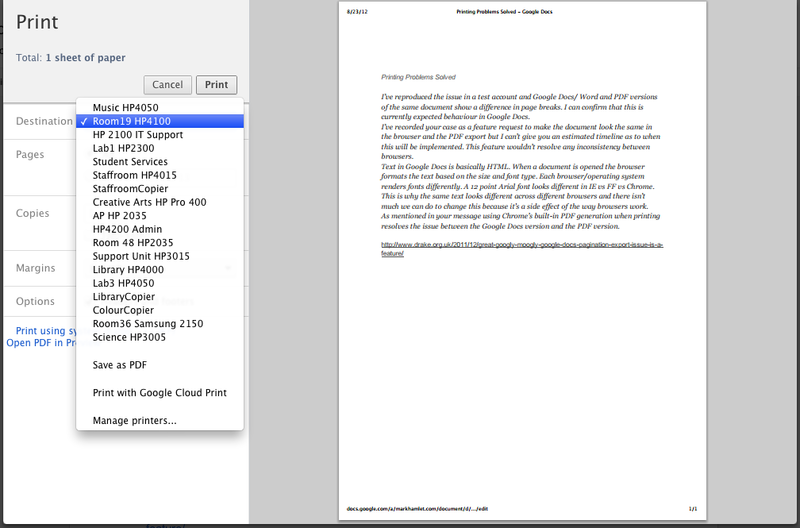 When I download a Google Document as a PDF file or Word Doc so that I can print, my formatting is all screwed up. How do I fix this? 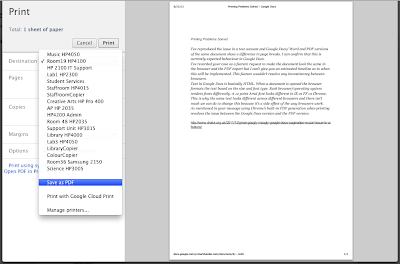 Text in Google Docs is basically HTML. 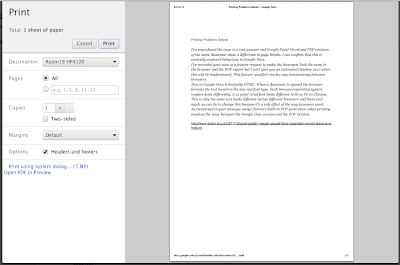 When a document is created the web browser formats the text and pages based on HTML code. When you download the document as another file type Google has to perform a translation from HTML code into the programming code used by PDF files and Microsoft Word. As any body who can speak another language will tell you there is not always a direct translation, and unfortunately this is also true in the digital world. 3. 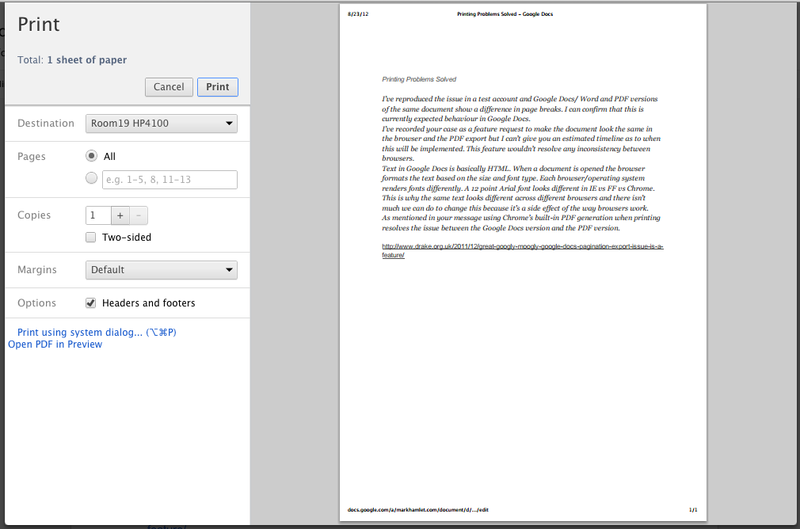 So that your printed document will not contain the website metadata at the bottom of the page uncheck "Headers and footers"
4. From the new window click on the box next to "Destination"
7. 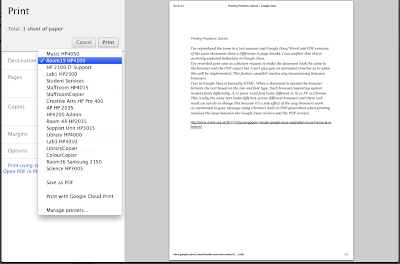 If you wish to save your document as a PDF follow steps 1, 2, 3 and 4 then from the menu choose "Save as PDF"